When reflecting on the life of Virginia Baker, it is easy to see that her life was completely devoted to her family. 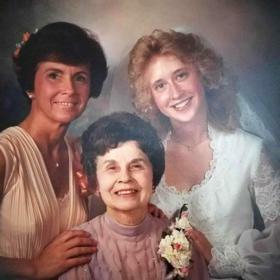 She treasured her roles as a wife and mother, but she just might have argued that becoming a grandmother and great-grandmother was her greatest reward. Virginia made sure she always looked her best, and she could multi-task with the best of them. Although she experienced so many of the best things that life has to offer, what made these experiences extraordinary was sharing them with the ones they loved. Deeply loved, Virginia will be forever missed. The 1930s were some of the most trying days we have faced as a nation as the entire decade was cloaked in the hardship of the Great Depression. Countless Americans lost their homes as a soaring unemployment rate was commonplace and although times were challenging, cities, communities, and families came together to weather the storm in whatever way they could. 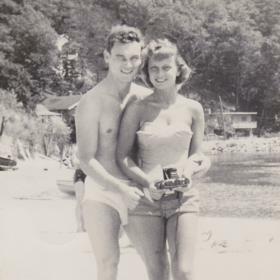 Despite the trials around them, Paul and Mary (Gowolski) Gessner were able to shift their focus to an exciting time in their own lives as they were eagerly awaiting the birth of their new baby as summer was drawing to a close in Grand Rapids, Michigan, in 1933. The big day finally arrived when the baby girl they named Virginia Margaret drew her first breath on September 2, 1933. She was one of five children in her family, although her brother, Earl, died as an infant. Virginia’s father worked as a quality control supervisor in a local factory, American Seating, and her mother worked there as well. Raised on Lincoln Street on the Northwest side, Virginia was a young girl of her generation. Because both of their parents worked, she and her sister, Char, were expected to run the household. Meals that did not go as planned and mischievous behavior by Paul and Bob provided the material for humorous stories that have been told over and over again. Of course most of these stories involved Virginia and Char trying to keep their older brothers in line, which never worked out very well. She attended Union High School where she was actively involved including as a cheerleader and as a performer in the high school follies. As a family they did not take very many trips, but for Char's 16th birthday Virginia’s parents took both girls to Mackinac Island when Virginia was 15 and Char was 16. Since their father was a bit of a character, he took the girls to the Pink Pony for their first drinks. Also a photographer, Virginia’s father wanted to take pictures in and around the Grand Hotel. He was told by staff that only press could take pictures, but not one to be deterred her father just stuck a piece of paper that he wrote “Press” onto the brim of his cap. Their family was then given the royal treatment, and of course Virginia’s father was able to get some amazing pictures of their trip!  After graduating from high school, Virginia was eager for all that life had in store. She went on to earn her finishing certification, which provided her with secretarial skills, from Davenport College. With her education behind her, Virginia began doing clerical work for Fiedler Company downtown. She also did some professional modeling during this time in her life. New and exciting changes were in store for Virginia when she met the young man of her dreams. His name was Dan Baker, and they met at a New Year’s Eve party in 1953 when he was home on leave with his fellow servicemen. Although she had come with another date that night, there was an attraction between Virginia and Dan that was impossible to deny. Over the course of the evening they shared a dance, and the rest is history as they say. With a desire to establish a life together Virginia and Dan were married in 1955, in a ceremony at St. James Catholic Church, and then the newlyweds took a honeymoon to Marco Island, Florida. They started out in an apartment at 3740 Remembrance Road. When their children began to arrive they moved to the south side of Grand Rapids to establish their home in Kentwood, Michigan. 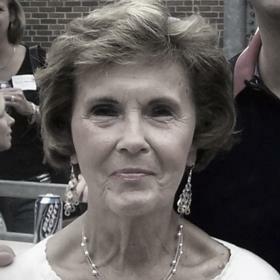 Cheryl, the oldest arrived in 1958. Danielle, Brian, and Brad arrived later, all two years after one another. Virginia and Dan stayed in Kentwood unitl the mid 80's before moving to Byron Township to live a simpler life in retirement. From the time their first child was born, Virginia made caring for her family her primary focus. She left the workforce and saw to it that her children were raised in a loving, faith based, and family centered environment. Holidays, weekends, and vacations always involved the immediate family as well as her direct family members on most occasions. Among their memorable vacations were summer cottage weeks, maintaining a travel trailer lot on Sand Lake in Paradise, Michigan, for several summers, and an unforgettable family vacation to Disney World in Florida in the mid-seventies. Once her children were old enough Virginia went back to work and became office manager for Metro Graphic Arts until retiring in the early nineties. During her later years Virginia continued to treasure the times spent with her family. She enjoyed displaying pictures of family members, especially the pictures with her children, grandchildren, and great-grandchildren. Vacations continued to be some of her favorite times. In celebration of their 25th wedding anniversary they took a Hawaiian vacation, and together Virginia and Dan traveled more extensively. Among their travels were trips to Yellowstone and the Badlands where they went whitewater rafting. Virginia and her husband also spent a winter in Phoenix, and their final trip was an Alaskan cruise. They also took frequent trips to local Michigan casinos although their favorite vacation spot was to Traverse City during the Cherry Festival. 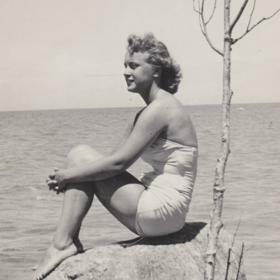 No matter what they were doing, Virginia loved to be out in the sun, at the beach, or on a lake. During her later years Virginia became an avid Tom Brady fan. Truly beautiful on the inside and out, Virginia Baker was a blessing to everyone she met. She could be opinionated at times, but only when it came to matters she was passionate about. 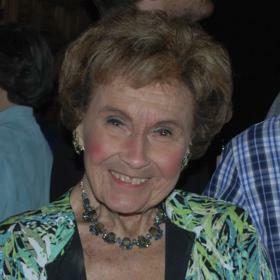 Virginia was family oriented throughout her life, and her love and devotion to her loved ones was unmatched. Although she will be forever missed, she leaves behind a priceless collection of memories that her loved ones will forever cherish. Baker, Virginia, Grand Rapids, MI – Age 84, loving wife and mother passed away peacefully on March 27, 2018. Virginia was born September 2, 1933 to the late Paul & Mary Gessner. She was also preceded in death by her husband of 54 years, Daniel J. Baker; and brothers, Paul, Robert & Earl Gessner. Virginia is survived by her children, Cheryl (Jeff) Trimpe of Grand Rapids, Danielle (Jeff) Havens of Overland Park, KS, Brian (Theresa) Baker of Avon Lake, OH, Brad (Candy) Baker of Kent City; grandchildren, Stacey (Chris) Quinn, Audrey (Luke) Hersman, Wesley (Carrie) Trimpe, Matt (Lauren) Havens, Scott (Julie) Havens, Brett (Taylor) Havens, Connor Baker, Kaitlyn Baker, Jack Baker, Bevin Baker, Kevin Baker, Maeve Baker, Amanda Baker, Ashley Baker; great grandchildren, Starlin Baker, Carter Quinn, Nicholas Havens; and her sister, Charlotte, Schullo of Wyoming. Mass of Christian Burial will be held Saturday, April 7,at 10 AM at St. John Vianney Catholic Church, 4101 Clyde Park Ave SW. Friends may visit with her family on Friday, from 5-8 PM at Heritage Life Story Funeral Home, 2120 Lake Michigan Drive NW where a Rosary will be prayed at 7 PM. Interment will be in Resurrection Cemetery. Memorials may be made to the American Heart Association. 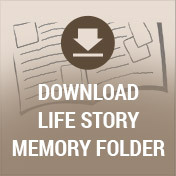 Please visit Virginia's web page to read more of her life story, leave a memory or condolence at www.lifestorynet.com.